Kids room decorating ideas can be unusual and adventurous. Children and their friends enjoy original designs and bright room decorating colors. Here are gorgeous ceiling designs, painting ideas and stretch ceiling film decorations to inspire you create modern ceiling designs in your kids rooms. 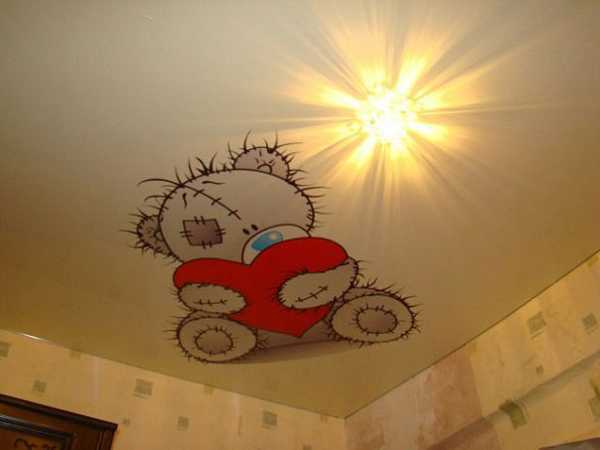 Unique ceiling designs encourage to dream and add fun to kids life. Contemporary stretch ceiling film or inexpensive vinyl stickers, traditional painting ideas and modern lighting fixtures designed for kids rooms create beautiful atmosphere of childhood, brightening up kids room decorating. Even very young children pay attention to their room colors, furniture, floor and ceiling designs. They are interested in all details of their interior design. 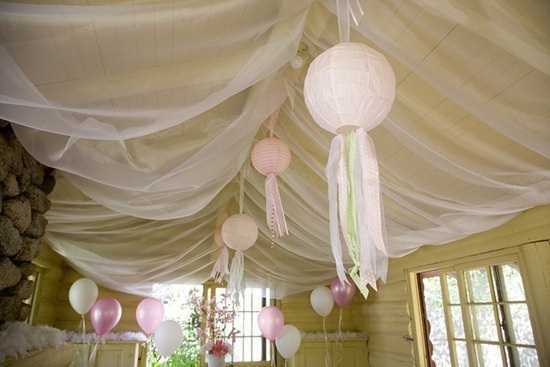 Bright ceiling designs in kids rooms are a way to support kids room decorating theme, challenge their imagination and develop creativity, raising happy and optimistic children. 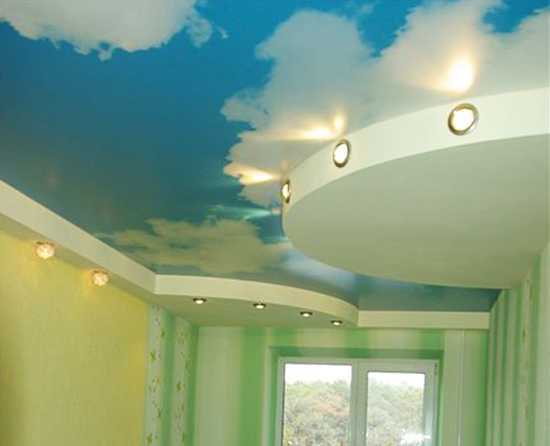 Blue sky or night sky with stars are popular ceiling designs for kids rooms. 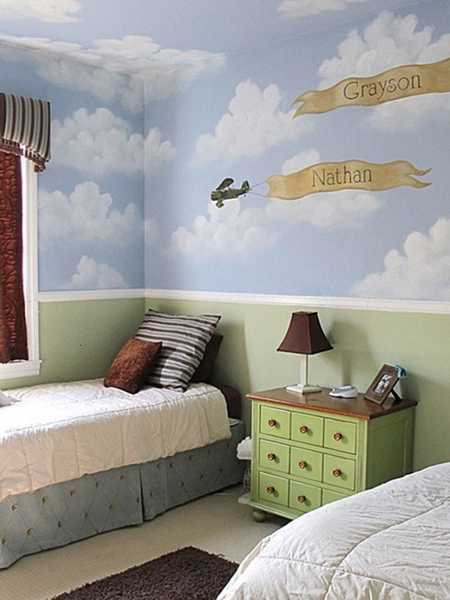 Clouds, flowers, butterflies, planes and birds are wonderful decoration patterns for children bedrooms also. When you think of ceiling designs for your children bedrooms, think of something really unusual, flying in the air, cheerful or funny. Tree branches with leaves or tall stems of grass, that stretch from the floor to the ceiling are excellent for kids room decorating and suitable for boys and girls. Floral designs that match ceiling lighting fixtures, or cityscapes, combined with the sky are great decoration patterns for teenage bedroom and older kids room ceiling also. These ceiling designs change the perspective, giving a surprising touch to ceiling designs. There are many different decoration patterns and style for ceiling designs. Choose painting or stretch ceiling film designs, make a canopy or add a contemporary lighting fixture designed for kids, matching your kids room colors and decorating themes. Get inspired by original and modern ceiling designs for creating beautiful and interesting decorating in your children bedrooms.